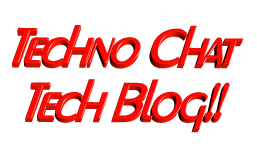 Take ownership of files with denied access | Techno Chat|Tech Blog!! Most of us using TAKEOWN or ICACLS for taking ownership from command prompt, and both of them are simple to use. We generally use TAKEOWN or ICACLS with following switches to taking the ownership. But unfortunately, TAKEOWN & ICACLS both might failed on certain scenario, as there are some undocumented limitation. We had incident where we tried to take ownership of a shared location hosted on NetApp Filer. While using TAKEOWN, we are getting following error. Posted in Admin Tools, Windows. Tagged Access Denied using TakeOwn.exe, Access denied! help me!, Can't take ownership of files with takeown, ERROR: The data area passed to a system call is too small., How to unset administrator deny permission, icacls Access Denied, icacls error, NTFS permission from command line, Take ownership of files with denied access, TAKEOWN Error, Takeown Fails with Access Denied, takeown gets access denied, using icas, Using Takeown. A computer is like the union, it never works unless you spend money on it.